It has been an awesome, yet very exhausting, beginning of the year. 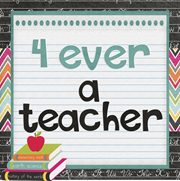 After leaving my 5th graders, I had to do some quick adjustments to the immediate needs of my firsties. They are so cute. They are eager, enthusiastic, and love dancing and singing. I can feel that it is going to be a great year! 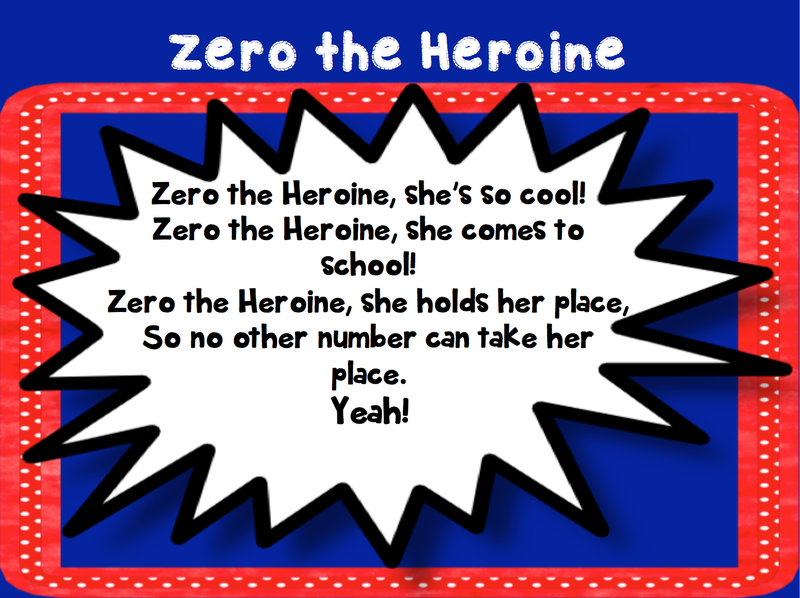 Today is our 10th day of school, and it is time to bring out Zero the Heroine. 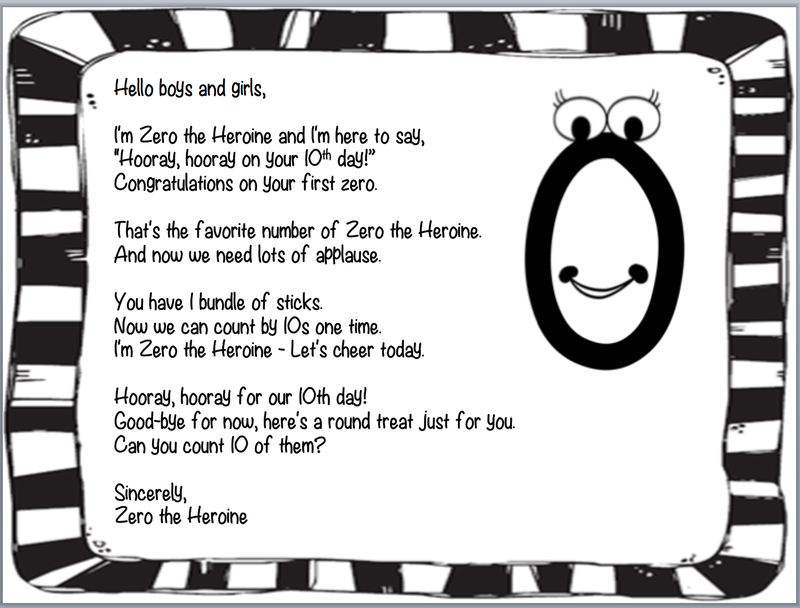 Every year I have done Zero the Hero, but it finally dawned on me that Zero could be a girl. 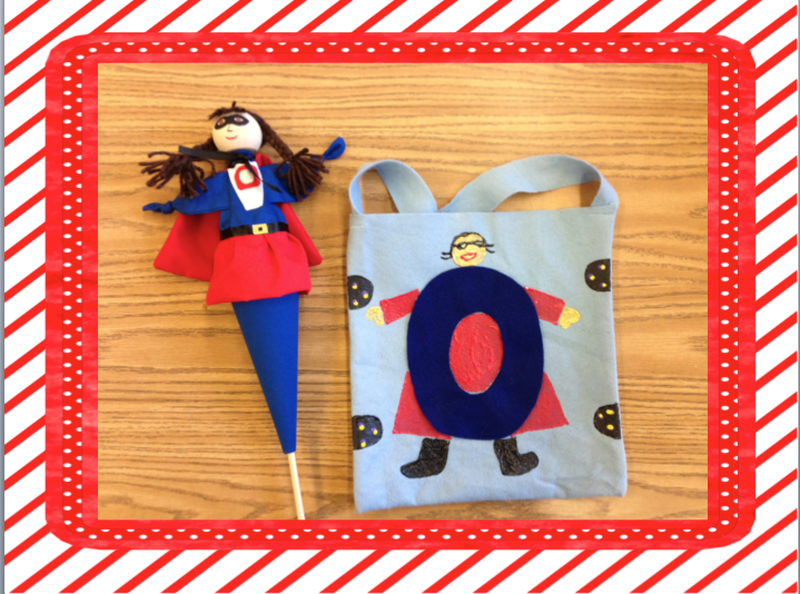 I really want my girls (and boys too) to feel powerful, secure, and strong in math. I contacted Laura from MadeByDI, and asked if she could make me a girl version. She was awesome and worked with me to make it just the way I wanted. The bag is my attempt at being "crafty". I need to redo it. 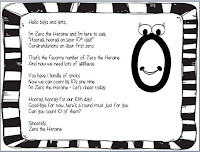 That is where every 10 days we find a letter from Zero the Heroine and special treats to share. I have done cheerios, M&Ms, Life Savers, etc. On the 1st 10, we discuss the fact that there aren't enough treats for every one and what should we do. They always say we should save them for the next 10. On the 20th day of school, we will have a total of 30 treats. I begin to introduce to them making equal groups of one and even begin to discuss remainders. By the end of the year, many of my kiddos are very good at hands division and remainders. After we read the letter, we always do the chant. I have no idea the original source, so please let me know to give proper credit. If you would like your own copy of the chant and letter, click HERE. 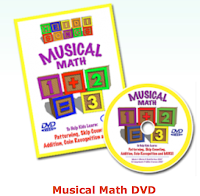 One other thing I always do with my kiddos is sing the "Count by 10's", Musical Math, by Heidi Butkus. They L.O.V.E. it! It is amazing what a song can do. I hope your year has started out with a bang. IF your still on vacation mode-Enjoy!